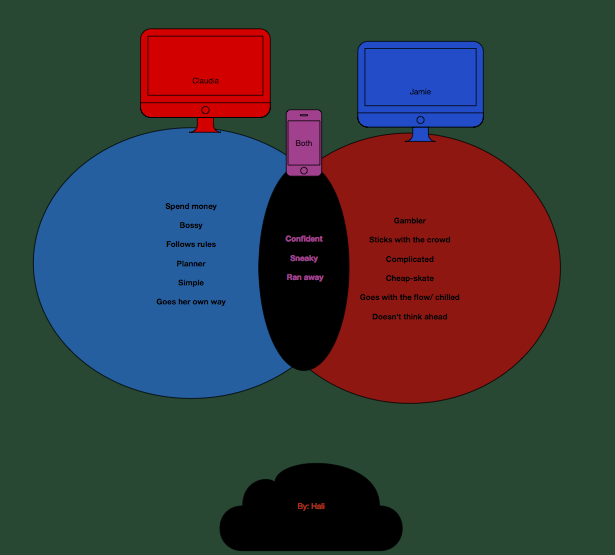 Reading and Thinking Maps and iPads… Oh My! My kids and I are wrapping up the year by reading The Mixed Up Files Of Mrs. Basil E. Frankweiler together. (GASP!) I know, I do not have four different reading groups going on at once. How could I? Even worse, the students are getting to listen to the book on tape while they read along. I think they deserve to listen and simply enjoy a book, and this is a very sweet, coming of age story in which a brother and sister run away from home to live in the Metropolitan Museum of Art. 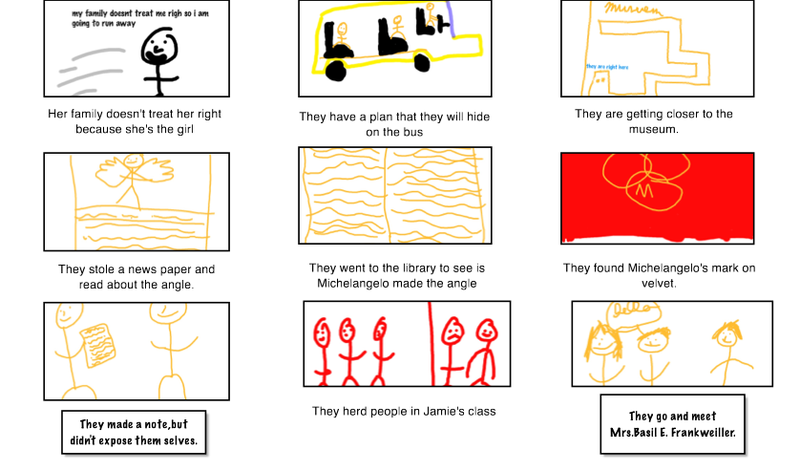 The students’ thinking is illustrated when we stop after every chapter to recount interesting questions or connections we may have to the characters. 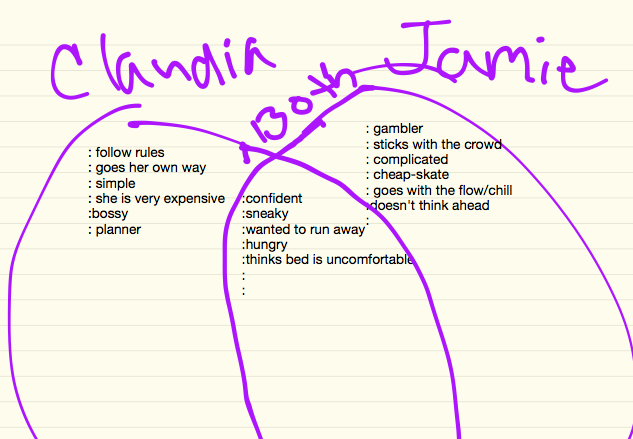 Then, the students add to a flow map they have been working independently on since chapter one. This allows me to check in on every student, and make sure their brain didn’t go into summer mode while the book was being read. In the flow map the students illustrate and describe what they believe is the most significant event in each chapter. This helps the students see the plot grow and develop, and gives me an extra reading grade in my grade book. 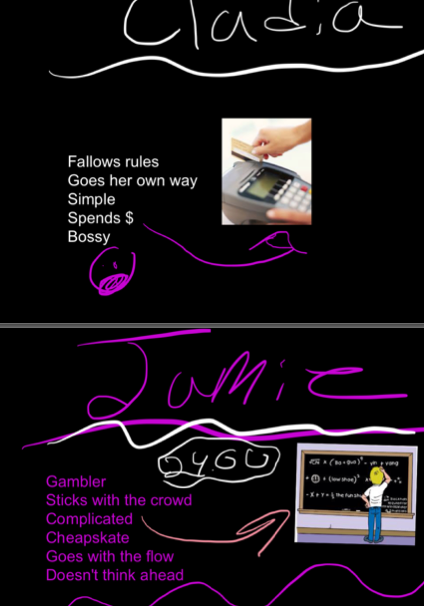 The students created flow maps by illustrating their own pictures in Doodle Buddy or their White Board app. They then imported those pictures into Strip Design. 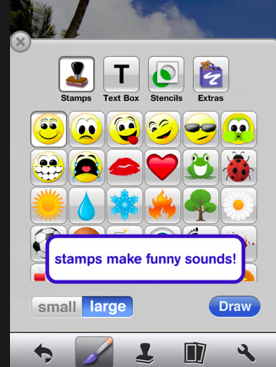 Doodle Buddy and I aren’t always best friends because as the picture below shows the stamps make, “funny sounds” and to me those “funny sounds” aren’t always very funny or appropriate. It is very rewarding to see the students use these stamps in appropriate ways and to see their eyes light up when you ask, “Why did you put all of the feet marks in your illustration?” “Mrs. Blalock, this is Claudia and Jamie sneaking away from the guard when they were looking at Angel!” Silly me! I was just praying Braedyn wasn’t listening to the funny sound that the feet marks made when she put them on her page. This student has visualized and made connections to E.L. Konigsburg’s Newberry Award winning book. “Funny Sounds” being used appropriately can make any teacher smile! They have asked for a lot of extra time to work on their flow maps because they like adding little details into their illustrations and they care about the organization of their project. Students are very particular when they are invested in something important to them. 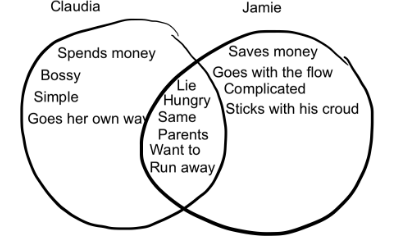 Our class also compared and contrasted the famous sibling duo, Claudia and Jamie Kincaid. The students were not restricted to use one app over another as long as they could send their final project to the class Box account. I was excited to hear all of deep details that the class bubbled over to tell me about the two main characters, and even more excited when I saw how many different apps the students worked with. 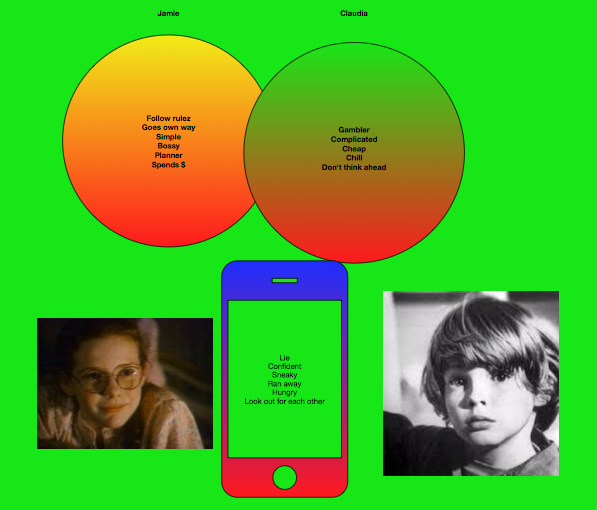 The students chose apps to complete this task that I had not even trained them to use for a task like this, but they showed deep comprehension of applicable app usage with multiple apps. This shows me that they are competent and confident IPad users, and are ready to progress into the 5th grade. See some of their finished products below! Kennedy uses InFlowChartLite and imports photos from the movie! I know! It is so sweet.